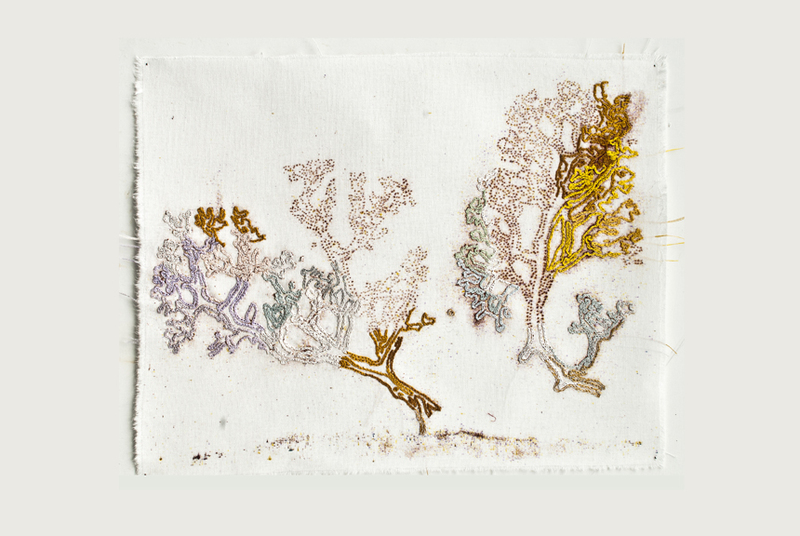 ‹Embroidery›, 2011, 30x40cm, embroidery, stitch, cotton thread (moulnegarn), cotton canvas, drawing. 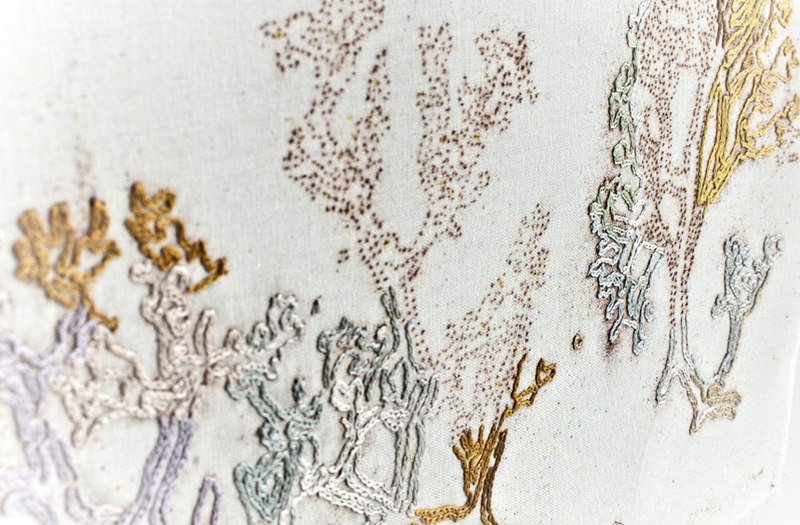 ‹Embroidery›, 2011, 30x40cm, embroidery, stitch, cotton thread (moulnegarn), cotton canvas, drawing, detail. 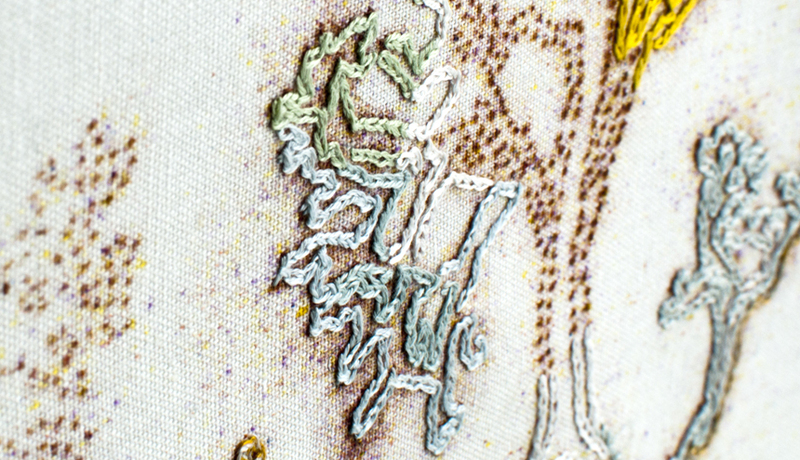 Embroidery done after a old technique where I dot a paper drawing with a needle and sprinkle colorant over so that it comes through every hole. Here I embroidered by dot pattern. Technique / Materials: Embroidery, stitch, cotton thread (moulnegarn), cotton canvas, prikkoppteikning. Dimensions: 30 × 40 cm.